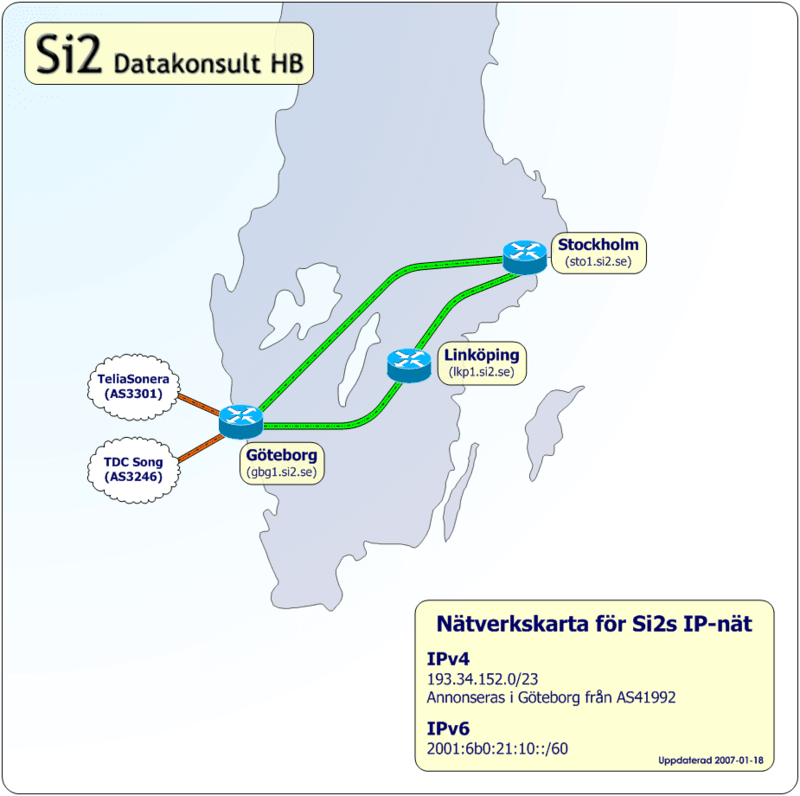 Si2 is a small, flexible consulting company based in Linköping, Sweden. We provide consulting services mainly within the fields of computer communication and information security. We also educate in these fields and conduct research within network development. Our previous partners and clients can be found both in Sweden and other parts of Europe. The company was founded in the spring of 2004 as a result of a project with a major Swedish publishing company. We prefer to work in smaller, time-limited projects with small and medium sized clients.